We all want to work with the best mastering engineer, but what really makes a good mastering engineer anyway? Ranking the skill levels of mastering engineers on a scale from one to 10 would be a challenging proposition since each of us has our own opinion of what sounds good. Perhaps a better way to rank engineers would be to consider which people truly understand the music you’re making. They don’t have to be your biggest fan in the world, but if you can connect with your mastering engineer over a shared vision of what good music should sound like, you’re off to a great start. While we tend to think of mastering as the final step in the music-making process, that doesn’t mean you have to wait until the mix is done to start thinking about mastering. 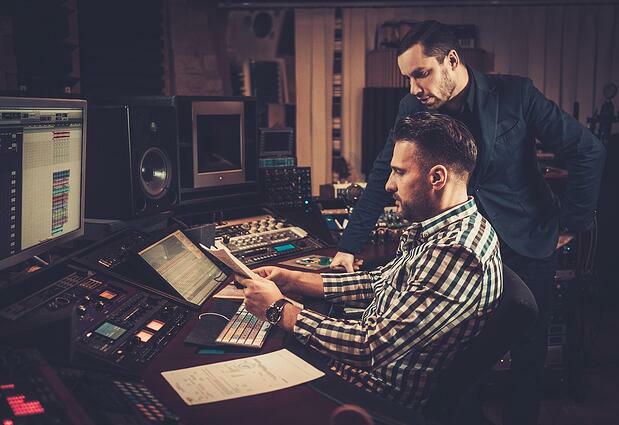 Experienced mixing engineers will often bring a mastering engineer in on a project early on, just to make sure they’re headed in the right direction. Not all mastering engineers will be able to do this, but if they're open to it, there’s nothing wrong with asking for their opinion before you reach the final mix. Even if you don’t understand exactly how mastering works, it’s important to understand what a mastering engineer does if you want to be happy with the final product. For those who are curious about the specifics, mastering engineer Ian Shepherd has created this flowchart which details the exact steps he uses in his mastering process. If you’re not sure what to expect when you get your tracks back from mastering, try preparing yourself by listening to mastered and unmastered versions of other songs. This will give you an idea of what mastering actually does, and what to listen for in a good master. Because mastering is often a more subtle process than what most people anticipate, training your ears in this way will ensure you don’t end up disappointed. Before sending your tracks off for mastering, it’s a good idea to ask the mastering engineer what you can do to make his or her life easier. Each engineer has his or her own way of working, so he or she will have different needs when it comes to things like file formats, bit depth, file names, and so on. Some may want you to send different stems, while others will be happy with one stereo track. It’s also a good idea to ask about the revision process beforehand so you know what to do in case you’re not happy with the tracks when you get them back. Having these discussions with the engineer beforehand will make you easier to work with, and chances are, if you’re easy to work with, the engineer will be more motivated and have more time to do a good job for you. It’s also a good idea to be upfront about what you’re expecting on your end. Many mastering engineers will ask you to provide reference tracks to give them an idea of the sound you’re going for. Choose these tracks carefully, as they say a lot about how your music will sound. If you can’t quite capture your vision with reference tracks, write it out in an email or talk about it over coffee. The more a mastering engineer understands what you want, the more he or she will be able to help you make your music sound great, which is his or her job, after all. Developing a lasting relationship with a mastering engineer can be a big help to your music career. Once you have someone you can trust with your mixes, you’ll feel much more comfortable about handing over your tracks, and you’ll be able to rest easy while you’re waiting for your final masters to be finished. As with any other relationships you make in the music industry, establishing a good relationship with a mastering engineer is all about clear and open communication. The more you can be sure you’re on the same page, the happier you’ll be with the end result.